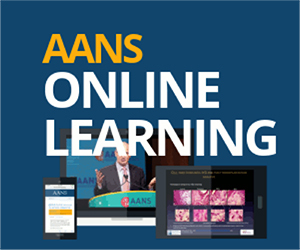 In this issue of the AANS Neurosurgeon, our colleagues address the science of practice, a theme that was intentionally chosen to dovetail with the 2019 AANS Annual Scientific Meeting. Most of the authors discuss the impact of evidence-based medicine upon the practice of neurosurgery, from the treatment of subdural hematomas to that of brain tumors and spondylosis. Others discuss the impact and application of big data to improve outcomes for our individual patients. In addition to these perspectives, I would highlight the micro-perspective of the individual surgeon, who critically analyzes his/her practice- from treatment recommendations to operations performed and outcomes achieved. For most of us, quality improvement initiatives and morbidity and mortality conferences allow for an environment in which critical analysis and improvement of outcomes can be achieved. However, on an individual level, each surgeon must constantly reflect upon his/her practice and results. How do you do this? Do you keep a notebook of patient stickers, sketch pictures, or record your operative findings in real time? Perhaps you keep an electronic database of your operative cases? Or do you rely upon your memory to record the details, the nuances, the dynamic thought process that occurred during the operation and maybe are beyond what can be explained in an operative note? As a medical student, I was impressed by the solitary experience of the neurosurgeon. I remember observing the chief resident concentrating, working carefully and silently in the operating theater. The reverent atmosphere of the operating room and the sacred relationship between the patient and neurosurgeon was impossible to ignore. That relationship extends beyond the operating room and beyond the medical chart; as surgeons, we are intimately connected to those whom our hands have touched. Whether the outcome has been spectacular or whether there has been a complication, we are reminded of these occurrences at every clinic visit. As such, neurosurgeons must always answer to themselves and to their patients, striving to provide care and comfort. This career involves constant reflection, analysis of outcomes, and improvement when applicable. 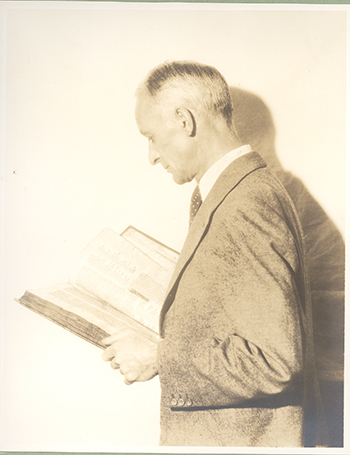 Neurosurgeons are fortunate in that the specialty’s forefather, Harvey Cushing (1869-1939), was the consummate clinician scientist. Perhaps not as well known in neurosurgical circles is his medical school classmate, Ernest Armory Codman (1869-1940). These two American surgical pioneers recognized the importance of surgeons’ critical analysis of their patients’ results, correlating medical and surgical practice with patient outcomes. Their early efforts are the predecessors to quality improvement mechanisms that are used today, over a century later. In the late 1890’s, Ernest Codman and Harvey Cushing were students at the Harvard Medical School in Boston, Massachusetts. At that time, anesthesia administration was delegated to junior house staff and medical students on the team. As such, Codman and Cushing performed this duty in an era in which intra-operative deaths were not uncommon. At this early stage of their careers, Cushing and Codman began to keep anesthetic records for the patients to whom they administered anesthesia. Historical records reveal two accounts; some sources state the record keeping was student initiated whereas other accounts suggest that Cushing was asked by the chief of surgery to undertake this task. As a result, the young students created anesthetic records on over 100 patients. Modern day surgical practice owes much to these physicians; their careful notes and observations are the predecessor to the current anesthetic record. But, in addition, their introspection and analysis of their methods, outcomes and adjustment to their practice are the model for contemporary surgical practice1. Codman, who became an orthopedic surgeon, instituted the Morbidity and Mortality conference at Massachusetts General Hospital. He also staunchly believed that variation in surgeon competence was related to complications; as such, he advocated for the recording and public reporting of surgeon outcomes. He created his “End Result System” in which records were kept on each surgical patient from presentation to one year post-operative follow up; other contributions include his work on “Hospital Standardization” that ultimately led to the creation of the American College of Surgeons2. We owe a great deal to these forefathers of American surgery, to our colleagues and to our patients. 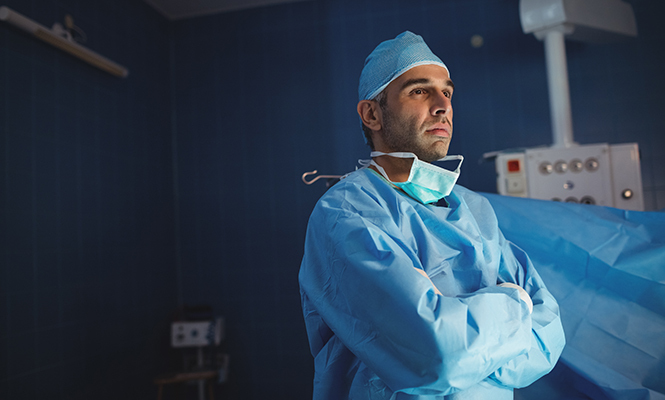 Whether we are in medical school, residency training or practice, neurosurgery offers each one of us a lifelong role as both a student and teacher. We learn from each patient we have the privilege to take of; there is something to be gleaned from every operation and every complication, both those that we acknowledge in front of our peers as well as the ones that we confront in solitude. 1. Sundararaman, L. & Desai, S. (2018). The anesthesia records of Harvey Cushing and Ernest Codman. Anesthesia & Analgesia. 126(1): 322-29. 2. Brand, R. (2013). Biographical sketch: Ernest Amory Codman, MD (1869-1940). Clin Orthop Relat Res. 471(6):1775-1777. Aruna Ganju, MD, FAANS, is an associate professor of neurological surgery at Northwestern University’s Feinberg School of Medicine in Chicago. She is a past chair of the AANS/CNS Section of Women in Neurosurgery (WINS) and Residency Program director in the department of neurological surgery at Northwestern University Feinberg School of Medicine. Her clinical areas of interest are surgical treatment of disorders of the spinal column and cord.